A crossover bag with a difference, the Descent is a vertical shoulder style that is sophisticated, suave and engineered for business. Guaranteed to ensure you look the part while dashing between meetings, our water-repellent Red Tag collection features distinctive red accents – a sure sign of quality and elegance. 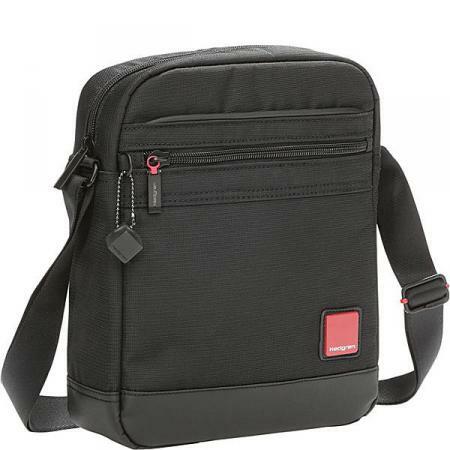 A bag that has been made to last, the base material has been reinforced for strength and durability, while the shoulder strap is adjustable to ensure your comfort. The subtle zipped back pocket is a great organizational tool, ensuring you know where all your important business notes are at all times.